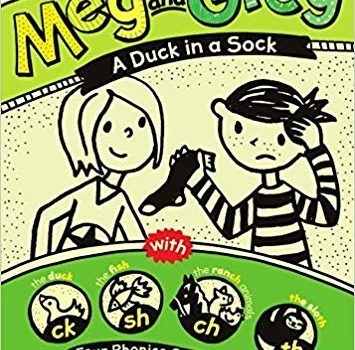 Meg and Greg is a new series of chapbooks from Elspeth and Rowena Rae designed to help dyslexic children rediscover the joy of reading. For many children with dyslexia, the switch from being having books read to them to early readers is difficult. Words become too complex, or stories at their reading level are too simplistic to be interesting. As a result, these children often lose interest in reading completely. A story divided into two parts: one set of text for adults, using wider vocabulary and longer sentences to make the story interesting and engaging; one for children, using tightly controlled words and shorter sentences. A typeface that mirrors hand-printed letters, enabling children to recognize letter shapes more familiar to them. Children’s text printed on shaded paper to reduce the contrast between text and paper—something cited as a difficulty for some children with dyslexia. I am a passionate reader – I have always been this way since I was young. My parents could always find me curled up with a good book. I try to always encourage my boys to embrace the joys of reading. I know that it is not always easy for children and parents. We even went through our own difficulties. Reading can be a challenge for some children and the learning process difficult for parents. 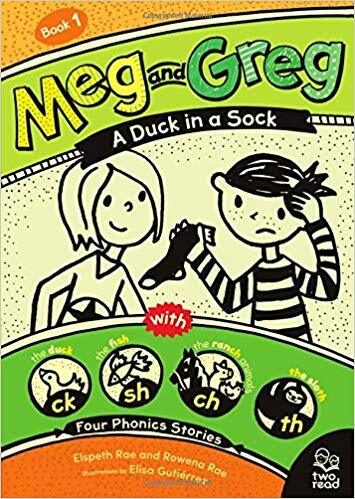 Meg and Greg is a book designed to help young children who are struggling in learning to read and their parents (who may not know how to help their children) succeed. I loved that the stories were exciting and used language that was natural for us to read aloud. Some readers can be awkward and the stories unexciting when you read them together. This is not the case for these two amazing young children – they save a sloth, lose and rescue a fish and even save farm animals. The story can be read together as you start out, then you can encourage your child to read the shorter lines while you read the longer sentences either together or to them. As they progress, they can definitely tackle the challenge of reading the longer sentences. What I really thought was fantastic was the font – they specifically used font that children can recognize. So many times when we are out and my youngest is trying to read signs, he is frustrated by companies that use a funny font that he can’t recognize (not to mention the confusion when companies purposely put a letter backwards!). This was done on purpose so that children recognize the letters and can read the words easily. Meg and Greg is a four-story book that is an excellent tool for parents to help their child on their reading journey. I found it not only great for children with learning difficulties but all children in general. It incorporates so many great ideas on how to help children succeed which helps to empower them in their journey. This is a definite must have book for young readers! Elspeth Rae is a certified Orton Gillingham teacher for children with dyslexia and other language-based learning difficulties. She runs the 44 Sounds Orton Gillingham Learning Studio where she teaches reading, spelling, and writing to children ages 4-12. She lives with her husband and three children in Vancouver, BC.